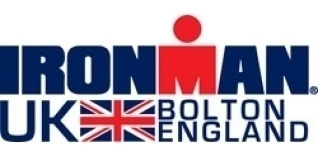 Who qualified for Kona at Ironman UK 2016? We've already brought you the list of Age-Group champions from IRONMAN UK 2016, but, how fast would you need to go in Bolton, to qualify for Kona? The 2016 edition of IRONMAN UK had 40 Age-Group qualifying slots for the IRONMAN World Championshhips in Hawaii on Saturday 8th October, and these are the 40 athletes - plus their race times and category positions - who secured their places. As you can see, 70% (28 of 40) of the slots were taken by British athletes, with only Ireland (three) and Sweden (two) managing more than one qualification spot. We've written about is before (HERE), but if you need a reminder of why, IRONMAN UK 2016 provides it. Congratulations to Lisa Wiltshire, who collected the second of two slots in the F30-34 division, having finished... 26th in 14:13:34. You never know how that rolldown process might work, so make sure you are there.